^ Einstein, Albert (1931). "Maxwell's Influence On The Evolution Of The Idea Of Physical Reality". 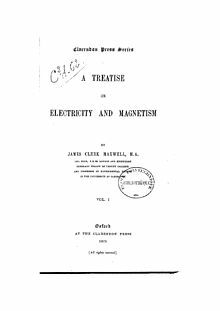 James Clerk Maxwell: A Commemoration Volume. C.U.P. Archived from the original on 14 July 2014. Retrieved 7 July 2014.